Naturally Speaking is a popular route for science communication in the Institute, but it is far from our only one. Across the Institute, staff and students work with various media outlets and platforms to bring their fascinating research to the wider public. This week we have decided to let our researchers off the hook; instead we’ve taken a snapshot of recent activity from the Institute, as told through stories in a variety of media—and reflecting the breadth of interest in work at our wonderful institute. We hope you enjoy our brief tour d’horizon, and go on to read or watch the original material…or, if you are feeling brave, the research papers they were inspired by. Highlighting research by: Prof. Roger Downie, and former students Alison Lilley and Patrick Walsh. Frogs legs are weird, and I do not mean in the culinary sense. 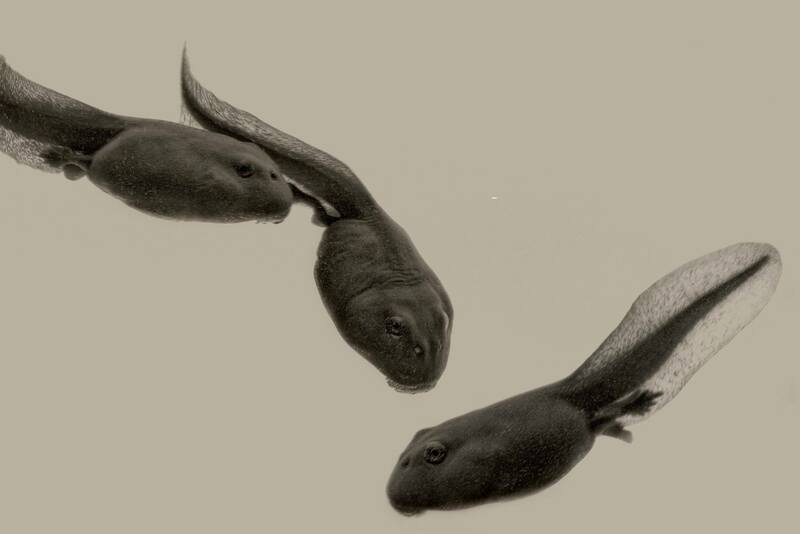 Frogs and toads have four legs, but tadpoles only have two; this is because the front limbs develop internally, erupting right before they are needed. This is sudden, but not synchronous, with one of the front legs emerging a significant amount of time before the other – something noted in a review paper by David Newth, who became Regius Professor of Zoology at Glasgow in 1965. Fascinated by this asynchrony, and intrigued about its effect on swimming performance, Prof. Downie enlisted the help of then undergraduate student Alison Lilley (who recently became Dr Lilley), and PhD student Patrick Walsh (now lecturing at Edinburgh). 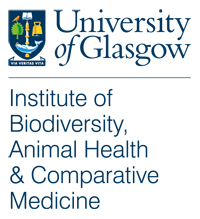 They published their findings, along with Luigi Zechini (University of Edinburgh), in the Journal Functional Ecology (2014). The topic was so interesting that The Telegraph recently picked it up to share with a wider audience. What did they discover? Well, Prof. Downie found the results “quite surprising”; read Ken Thompson’s article to find out why. Rabies is present on every continent bar Antarctica, and holds a special place in the nightmares of humanity. This viral infection is passed from animals to humans through bites and scratches, and in 99% of cases the culprit is a dog. The rabies virus travels through the central nervous system to the brain, leading to a barrage of horrible symptoms: fever, vomiting, confusion, hyperactivity, excessive salivation, insomnia, paralysis, hallucinations and hydrophobia—a fear of water. Once these symptoms show, death is certain. The good news is that it is entirely preventable through dog vaccinations, or if bitten, through post exposure vaccinations before symptoms show. So why do around 59,000 people a year—160 a day—still die from rabies? This is a truly global health issue, and through direct research and collaborations our institute researchers tackle it at the same global level. A recent study published in the journal PLOS Neglected Tropical Diseases, lead by IBAHCM researchers, highlighted the global burden of rabies. Hardest hit were low income nations with high rural populations dependent on livestock, such as India and sub-Saharan African countries, yet developed countries have been able to all but eradicate rabies through dog vaccinations. Published in May, this work gives a detailed analysis of the global rabies problem, and was picked up by the BBC. To find out more, head to the BBC website to read their article or listen to the “Health Check” radio recording, where our very own Dr Katie Hampson is featured from 19 min. Lobaria pulmonaria, a kind of lichen studied by Sally. Vilseskogen [CC BY 2.0], via Flickr. Highlighting research by: PhD student Sally Eaton. When you think of rainforests you probably don’t think of Scotland—but you would be wrong. Our stereotyped image of rainforests are hot, humid, tropical forests teeming with unusual plants and animals. However, fed by vast quantities of rain, brought in by the Atlantic gulf stream, temperate rainforests thrive along along Scotland’s west coast. Unfortunately, these are also some of the most threatened rainforests, with less than half remaining in a fragmented patchy distribution. 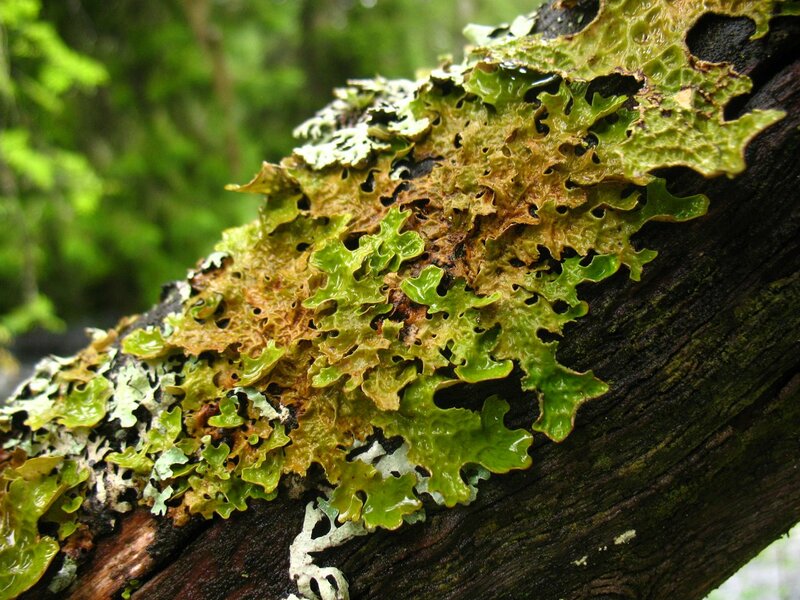 PhD student Sally Eaton is studying these rainforests, specifically their lichen communities. She is a part of a consortium of institutions including the Royal Botanic Gardens Edinburgh, Scottish Natural Heritage and the University of Glasgow, who have designated these patchy forests as a priority for conservation and restoration. Learn more in Sally’s own article published online by The Scotsman, where she also touches on one of conservations biggest questions: does life have intrinsic right or do species need a some kind of “value”? Sally’s work is so interesting it was even featured on BBC Landward (episode 5, 08-May-2015)—a programme that focuses on farming and countryside issues in Scotland. For those in the UK you can watch her segment on BBC iPlayer until 8th June (her story starts at 11:15 min). A wild water vole in the wild, though this one is from West Sussex. Peter Trimming [CC BY 2.0], via Wikimedia Commons. Highlighting research by: MRes student Robyn Stewart, Dr Stewart White and Dr Dominic Mcafferty. One of the UK’s most depleted mammals has found a surprising refuge—the highly deprived Glasgow suburb of Easterhouse. 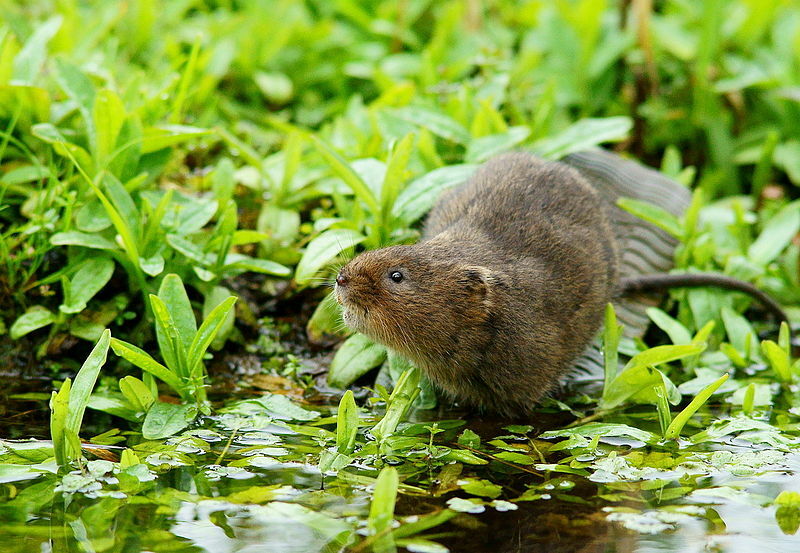 Water voles, similar in appearance to brown rats but with a cuteness upgrade, have experienced declines of up to 95%, and even local extinction from many areas. However, their population seems to be booming in Easterhouse, and no one really knows why, or even how they got there. Master’s student Robyn Stewart recently confirmed this thriving population, after local residents complained of a rat infestation. Read all about this tail, and the now locally locally cherished water voles, in an interview between Robyn and journalist Jenny Kane published in The Scotsman.